If you need an escape from the overwhelming sounds and sights of the busy capital city of Cuba, it's pretty easy to find a beach break. 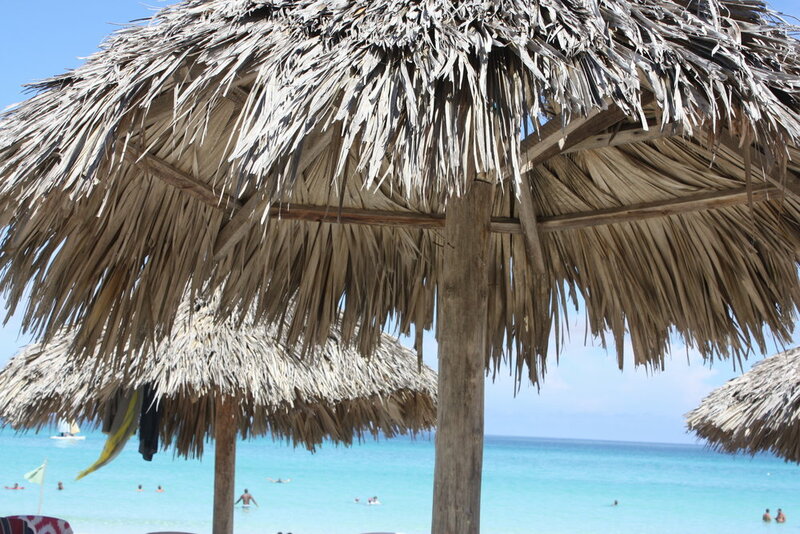 Just a two-hour car journey away is Varadero, a beautiful beach strip of white sand, warm water and cocktails on tap. Despite being described as a resort, the one long road didn't feel too Westernised as many of the Cuban residents still live there and hadn't become too commercialised yet. It still has many local casas to pick from, numerous restaurants with authentic dishes and music and of course? The beautiful, white sandy beaches. Stretching across the whole of the island, the selling point of Varadero is that the narrowness of the island means that wherever you stay, you are never more than a five-minute walk from the beach itself. Our local host helpfully told us that there is one 'good bit of the beach'; meaning all of the beach is stunning and perfect, not needing to walk to find the quietest or prettiest. Many of the beach huts also have loungers and authentic woven umbrellas which you can rent for just 2 CUC a day, and can come and go as you wish. And with a bar for mojitos and daiquiris just behind, it's so easy to just sit your day away whilst looking out into the warm, relaxing sea that stretches out forever. It's really worth spending a few days, if not just to glimpse the sunset. Walking barefoot along the beach as the sun went down in pink and orange hues felt so much like a Disney fairytale that we spent the walk in a hushed awe to take in the moment. Tourists and locals were still taking a dip in the low light, making the most of it until the completely unlit beach descended into complete darkness before running out to the main road back to their homes. Despite spending just two days in Varadero, we've remembered it fondly every day since. For €10, there is a 4 hour Vizual bus you can take from the bus station in Havana. We turned up two hours early (recommended at least one hour to get tickets) but were accosted by taxi men offering a similar price. We were lucky to have two others going to Varadero so paid €15 to leave straight away and only take two hours, saving about 4 hours in all for only the equivalent of £3.50. And not a bus, but a private taxi despite no seatbelt and taking slightly longer than two hours but as he was tanking it, the bus definitely would have taken longer. Same on the way back; at 10:30am, the next bus wasn't until 2pm, getting in gone 6pm. After bartering, only €5 more to go at 11:30, getting in at 1:45 and in the middle of Havana Vieja, not the bus station miles out. Any place we saw in a guidebook was sadly full. However after the third place we tried, the kind girl rang her friend and recommended us to her just 5 blocks down. With a cute walkway and private outhouse, we had the choice of two rooms at €25 or €35 per night with the latter being slightly bigger with bigger beds and a TV. We didn't need either so were happy with the smaller room which still had an ensuite, fridge and a perfect covered conservatory for relaxing in. Greeting us, she gave us some delicious juice that was a mix of mango and orange with pink sherbet around the rim, as well as an optional €5 breakfast that was watermelon, papaya, guava, banana, creme caramel, muffins or croissants, eggs, ham and cheese sandwiches, milk or yoghurt, tea, coffee, watermelon juice and cereal! With breakfast as a hard thing to come by, I'd recommend always taking up the casa on it, especially with the sheer size and tastiness of it. With a cute dog called Diego and only 5 mins from the beach, it was exactly what we were looking for. And she even helped ring a place in Havana for us the next day so we didn't have to worry. One of our favourite places to eat, a group of women (who were the best-dressed girlband I'd seen in Cuba) were going around the restaurant playing directly to tables, so we had to give a few CUC as it was some beautiful music (as well as some remarkably high heels they were sporting). With prices roughly at €8-10 for a chicken, beef, lobster or fish dish coming with potatoes, veg and rice, it was not only good value, but also remarkably had a lot of flavour. And with a flan caramel and mojito to finish, it's the perfect way to spend an evening the authentic, Cuban way. Having to take shelter in one of the sudden monsoons of the trip, Esquina was run by some friendly Cuban men with retro cars parked inside this barn-like restaurant. We ordered the usual meat-heavy dish, this time choosing a steak with the usual rice, chips and veg on the side, only this time coming with a huge tray of black beans which were some of the tastiest we had ever tried, along with some warm garlic-soaked bread to dip it. For €12.50 we were happily satisfied along with a few mojitos to help slip it down; this was a close second to the previous. 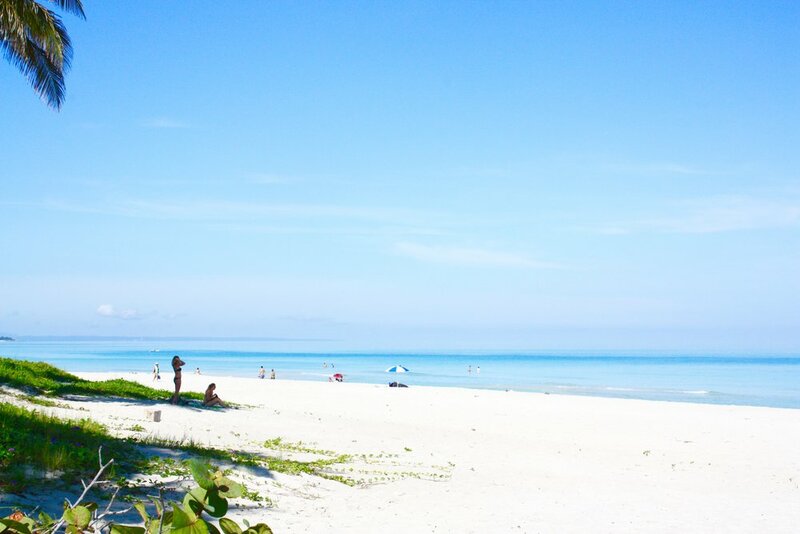 With other notable things, such as eating a daily €1 hamburger for lunch with the locals at Hamberguese, and men walking around with a boom box with the latest hits up and down the beach, Varadero is the beautiful contrast to the crazy hustle of the city, to soak your feet in the hot sand and calming sea.